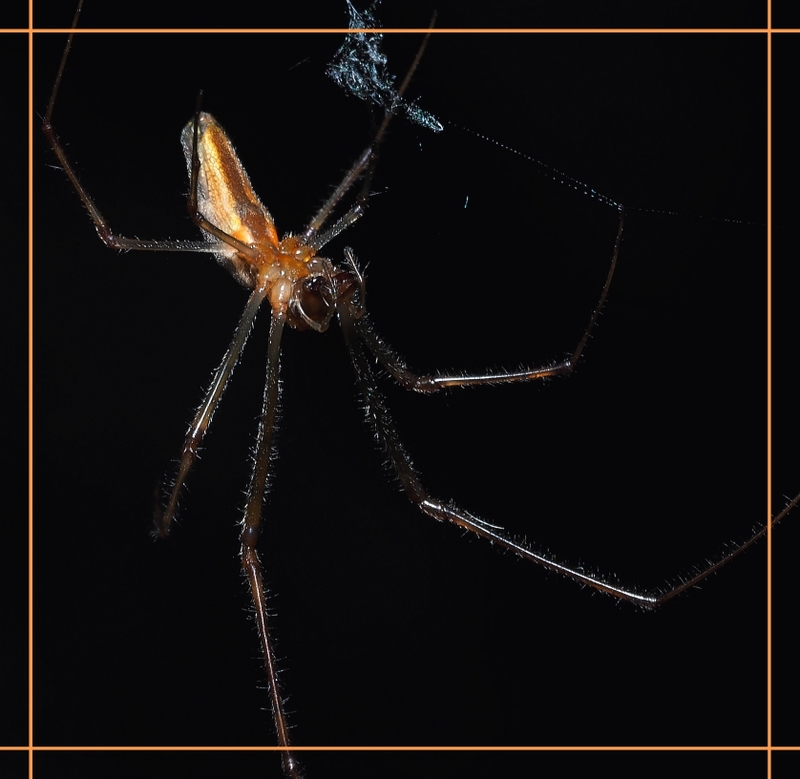 In reality, Elongate Long-Jawed Orb Weavers are not at all dangerous. People who turn their backs on the environment (and who vote for those that do) are what is extremely dangerous. Very true…those that are voting against that which sustains us is truly frightening and dangerous. Yes, WJ, there’s a lot of real ignorance out there… and it is deadly dangerous! Thanks, Cigarman, and yes, there are a lot of really dangerous people out there. Great image and poem to go with it. Thanks much, Andy! 🙂 From an evergreen tree in our backyard! Way more dangerous, Mitza, way more dangerous! “Crocheting the fabric of seem” is wonderful. It seems that a lot of seams are unraveling in our civic fabric — we need some very industrious orb weavers to get us back on track! Yes, it’s a very sad situation that we are in, Linda; we need miracle-weavers but there just aren’t any of the kind needed (so far). There’s a jumble in the jungle… while most think things are just fine. These are great words and a great close-up of what looks like a Daddy Long Legs, but I don’t think they are web-spinners are they Tom? I thought I had read or heard that in the past – I really wish I could embrace spiders like you Tom … but this arachnophobia cannot be tamed! 🙂 There are no spiders in the northern states that are harmful to human beings.